Fans of Chris Crutcher (which in my experience includes just about anyone who has read any of his books) will welcome this insight into his life and writing. That’s a pretty tall order for any writer, but Crutcher is a fearless writer. That fearlessness stems from his belief than the purpose of young adult literature is to reflect the truth as the author sees it, rather than to set examples of good behavior. There are a lot of would-be censors out there, especially in the world of kid lit and YA lit, but Crutcher doesn’t flinch. And when you read the story of Allie, “a four-year-old, mixed race, neglected and abused girl” he encountered as a child and family therapist, you’ll understand where he gets his backbone from (226-8). That’s a tough lesson to learn as an ordinary person, and it’s an even tougher lesson to learn as a writer. The hardest part of a story—for me, at least—is always the end. The end of a story is, in some ways, the death of that story: that’s it, that’s all there is, there’s nothing left. But, he adds, “the best lessons about death come from the best lessons of life” (166). A good writer knows that he can’t tie up every loose end at the end of a story. Unless your story starts with the Big Bang, then it necessarily begins in media res, and unless it ends with the destruction of the universe, it also ends in media res. If you try to tie up every loose end, you become Sisyphus. There will always be loose ends. Life, Crutcher is telling us through the subtext of his works, is messy. I know the answer to the question now, by the way: why bad things happen to good people and good things happen to bad people. It came from my inner editor, that part of me that forces the wordy writer in me to dump ninety percent of all modifiers: Ask both questions again, minus the adjectives. A deep humanity underlies everything Crutcher writes. Even if you are not a fan, you will find much to think about in this book. If you work with young people, this book will also provide a lot of insight into their world. Read this book. You can visit Mr. Crutcher at www.chriscrutcher.com. Crutcher, Chris. 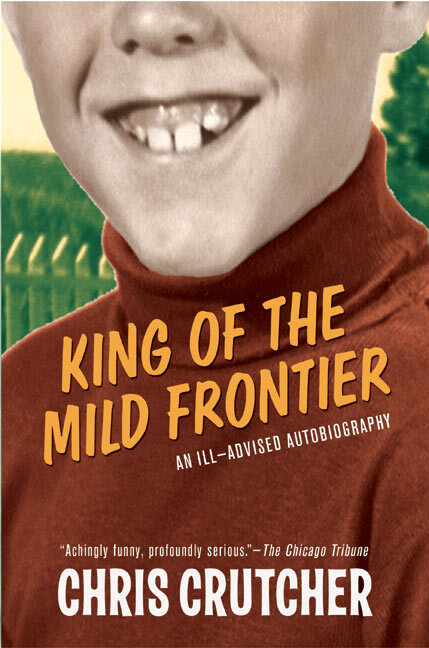 King of the Mild Frontier: An Ill-Advsied Autobiography. New York: Greenwillow-HarperCollins, 2003. Print. I’ve ready this book more then once. I made the mistake of reading it quite a while ago when I didn’t read any of his other books yet. In addition, the first time I read this, I hated it. But then a few of his other books were brought to my attention. After I read those, I went back to this one, and I loved it. His writing is quite bland, and sometimes hard to comprehend. But for some reason, I really like him. 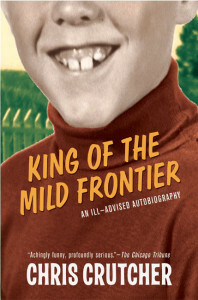 I definetley siggest this book to any reader from the ages 12 and up, but not until you’ve read something esle of his.